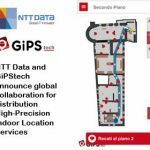 October 3, 2018 At Tokyo Narita Airport debuts the first high-precision localization service in Japan, born from the collaboration between NTT DATA and GiPSTech. 35 million passengers in transit each year thru Narita Airport will be able to move easily and safely in the intricate environments of the airport. The technology used in the project that will revolutionize passenger mobility at the Narita International Airport, in Tokyo, Japan, is entirely Italian. 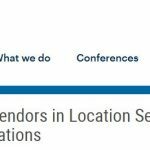 Developed by NTT DATA on the basis of the proprietary technology of GiPSTech, the “NariNAVI” app is the first to allow to move safely using an internal localization service that determine your position through geomagnetism. “NariNAVI” uses geomagnetic positioning to display the user’s current position on his/her smartphone in real time on an airport map, and to provide the user with the best route to the desired destination along with the most relevant localized information. 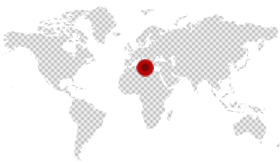 In addition to high-precision micro-location at low infrastructure, NariNAVI also displays a 2.5D map of the three airport terminals, each of which extends over several floors. 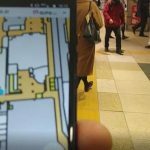 This intuitive and personalized map will especially help foreigners who visit Japan to orient themselves and move without problems within the airport. 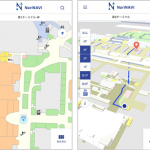 In addition to using the extremely accurate navigation service for passengers at Narita Airport, NTT DATA is considering extending the location service to other areas within the same airport such as operations management, maintenance, assistance to travelers and then make this technology replicable in other places in the world. 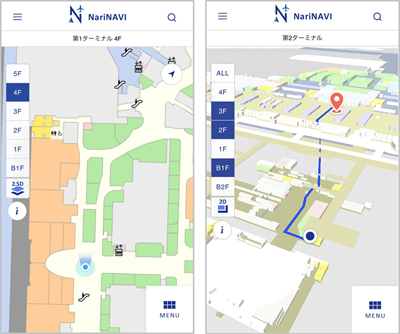 Narita International Airport has taken into consideration the idea of ​​an airport navigation app that allows users to locate their position in the terminals in real time, so that foreigners visiting Japan and others visitors can move seamlessly across the airport. 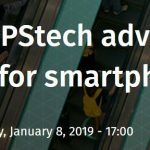 A long selection process led to the choice of NTT DATA and GiPStech by Narita International Airport, a choice that makes Narita the first Japanese airport to use an indoor location technology based on the use of Earth magnetism. Narita International Airport (IATA: NRT, ICAO: RJAA), also known as Tokyo Narita Airport is an international airport serving the Greater Tokyo Area of Japan. Narita is the predominant international airport in Japan, handling around 50% of the country’s international passenger traffic and 60% of its international air cargo traffic. Its 4,000-metre (13,123 ft) main runway shares the record for longest runway in Japan with the second runway at Kansai International Airport in Osaka. In 2017, Narita served 40,631,193 passengers, making it the 49th busiest airport in the world in terms of passenger traffic.